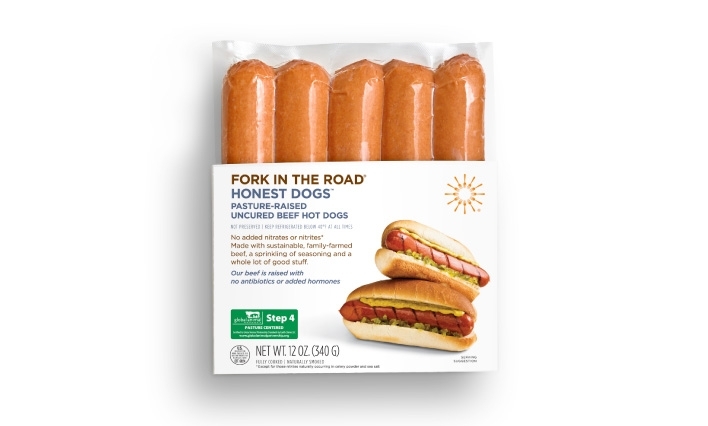 Uncured beef hot dogs made with sustainable, family farmed beef, a sprinkling of seasoning and a whole lot of good stuff. Our dogs are great with kids. 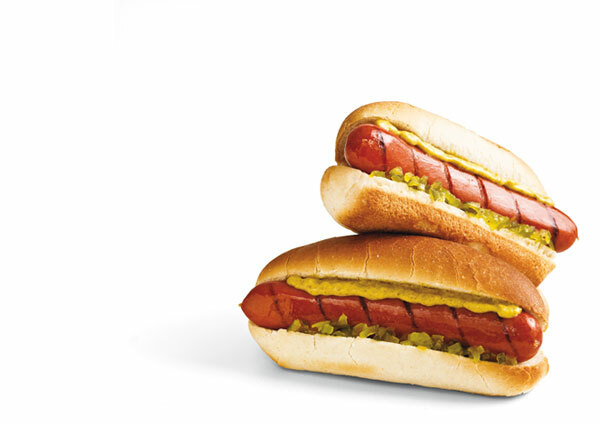 Pull up a bun and have at it — bite after bite of snappy, juicy, pasture-raised beef franks. Each one comes sized just right for kids of all ages. Slice into coins and stir into homemade mac and cheese. Wrap in refrigerated bread dough and bake for quick pigs in a blanket. Cut into chunks and thread on skewers with pineapple and red pepper, broil or grill and serve with barbeque sauce for dipping.